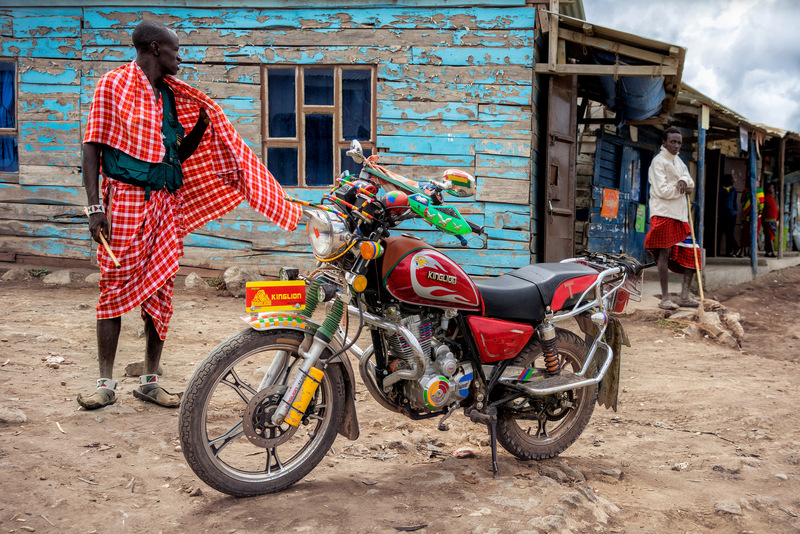 Maasai man in his traditional red Shuka and the red “King Lion” motorcycle. Maasai Shuka is a traditional is a cotton plaid fabric, in the form of a blanket, of bright red and blue colors, worn by the Maasai people, mainly from Kenya and Tanzania. Bestimmt die Maschine vom Häuptling!